The annoying thing about this is that it is very hard to get into the inbox, even if you are a legitimate sender and are just contacting a person. Try emailing someone from a dating site or from social media and you will have them tell you that they found your message in their junk folder. There are articles online that tell you to check which words and phrases are trigger words, but the problem is that articles on this subject are vague, and they do not seem to agree. The only things they seem to agree on are if you use words such as “free” or “money money money” or “miracle cure”. Many articles on this subject also agree that the overuse of punctuation is another trigger that will place you in the junk folder. So doing things such as “Now!!!! !” is not a good idea. If you do find a legitimate source that tells about the most modern and up to date trigger words for email accounts such as Hotmail/Outlook and Gmail, then write about it or post it on social media so that we can all take a look at it. If the blog master has a submissions rule, then follow it to the letter. If the blog master’s email inbox is a learning one, then it will recognize the format and structure of a person who just wants to guest post. It will make it more likely that your message will go straight to the inbox. If you do this then your email will definitely end up in the inbox. The notification will be sent into the inbox of the blog master’s email account. This will also have your email address if you entered a real one, and the blog master will respond to your message via that email account if you are lucky. There are some email services that will only put certain image emails into the inbox. Most will put them into the junk mail folder by default. Plus, a lot of email services will not show images right away. They will block them and so your images will go to waste anyway. Having your images blocked never looks good anyway. When a spammer creates an email, he or she will fill it full of coding. If you look at the message source and the HTML, you will see just how much extra they have added. This is not a good idea, as most email services know that spammers put web coding into emails. If you have added a shovel load of marketing blurb onto your email in a weak attempt to convince the blog master to accept your guest post, then remove it. It will only get you put into the junk folder, and the blog master will not be bowled over by it anyway. In the subject line you should mention that you want to write a guest post. That way even if the message does end up in the junk folder, the blog master will see it and pull it out to have a read. You should do this because sometimes a spammer will end a message with a company name, and this is the sort of thing that will land you in the junk folder. Real people (not spammers) end formal emails in a more traditional manner. If you do the same then you are more likely to stay out of the junk folder. 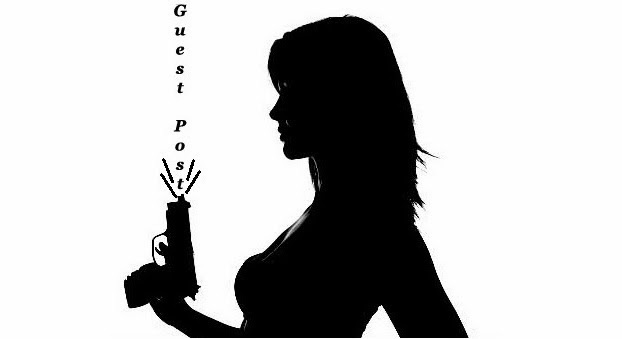 Do not use a special account or disposable email account just for guest post requests. Your email account will get a bit of a name for itself thanks to databases on spammers. The software will then start to recognize the email as a spammer email address and so your messages will be more likely to end up in the junk folder. Just use your normal email address, the same email address that you send personal and private emails with, and it will be less likely to be tarred as a spammer email address. I hope you liked this article. Feel free to share your view with us through comments. If you wish to see more useful tips and tricks, tutorials and latest updates related to Email then check out our Email Section from here. Kate Funk is a specialist in essay writing. She is proficient in blog writing, academic essay writing and online freelance networking.